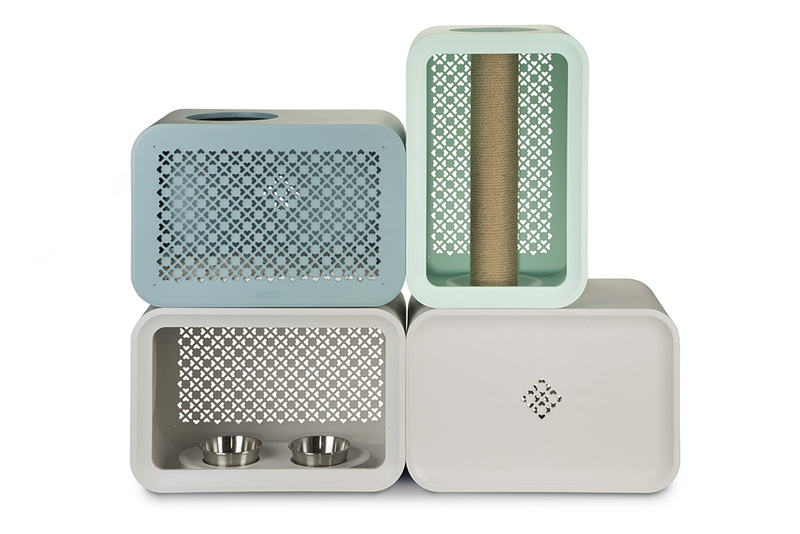 Beeztees has a brand new concept: Cat Cubes! 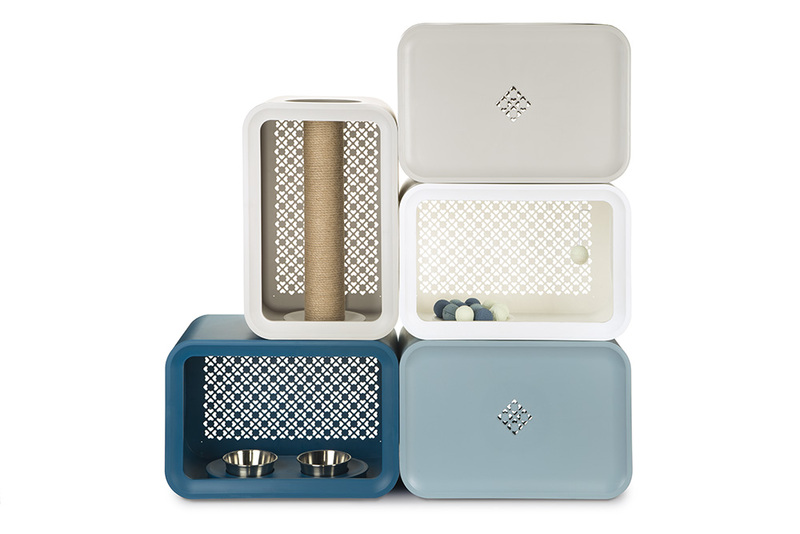 The Beeztees Cat Cube collection has a unique design and is the first elegant, modular system which appeals both cats and owners around the world. It is designed to suit different needs and desires of your cat. 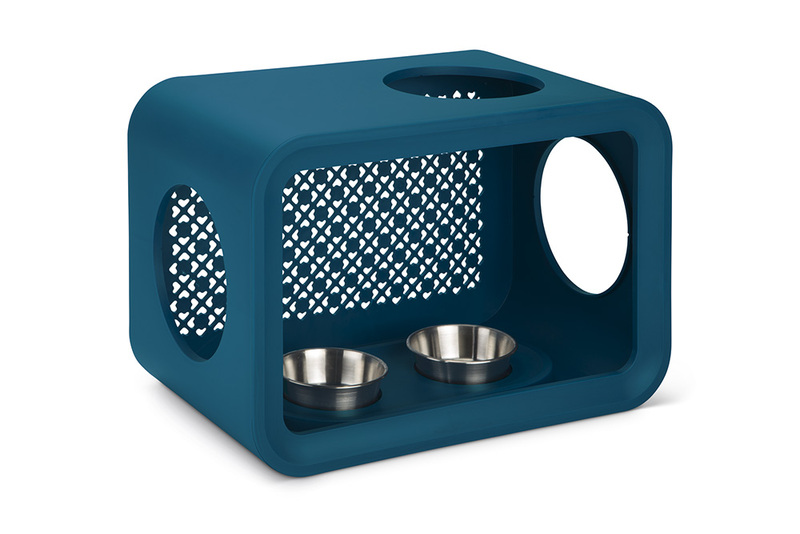 The range of modules creates a great habitat for cats to eat, sleep and play in. You can mix and match the design and different colours with your interior and change the configuration weekly for fun for your cat! Which four different Cat Cubes exist? The Cat Cube Sleep is a closed cabin in which your cat can rest and sleep. for your cat to sleep. Your cat can sleep comfortably and soft with the matching pillow. 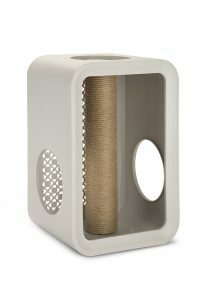 This Cat Cube is available in grey and stone blue and can only be placed horizontally. 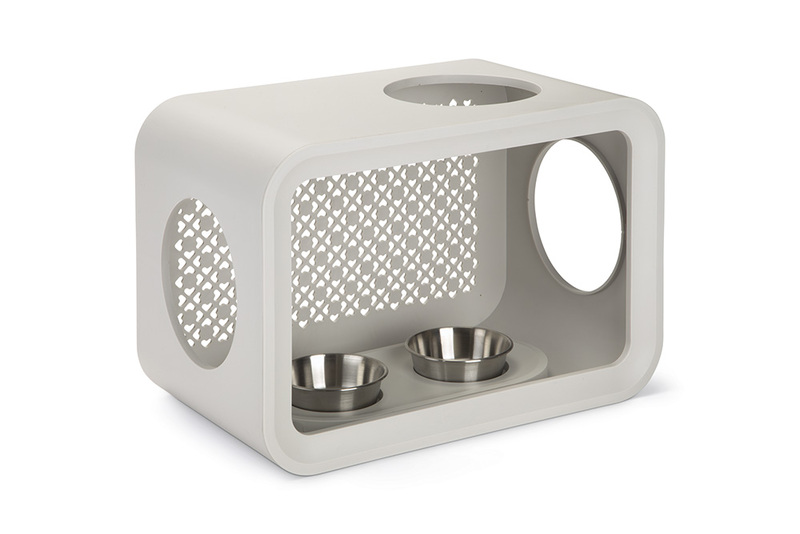 The Cat Cube Dinner is an open cabin for your cat to eat and drink. This cabin has two stainless bowls for eating and drinking. 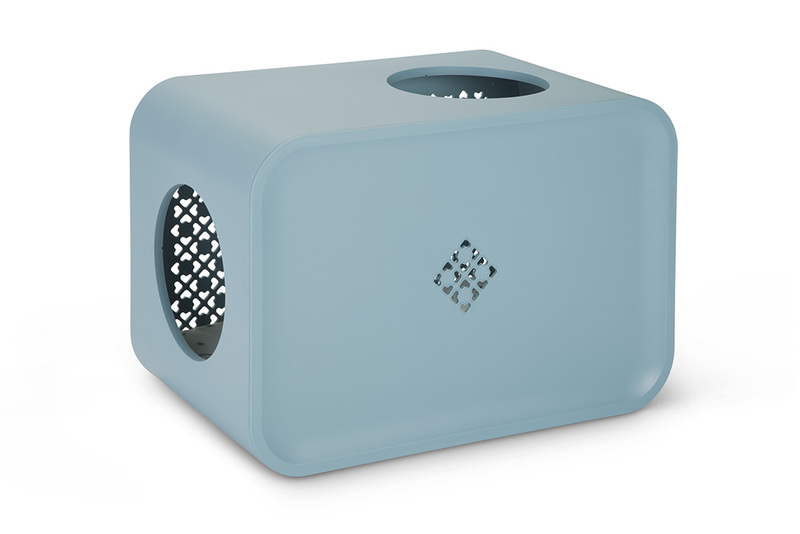 This Cat Cube is available in grey and persian petrol and can only be placed horizontally on the ground. The Cat Cube Play is an open cabin for your cat to play. 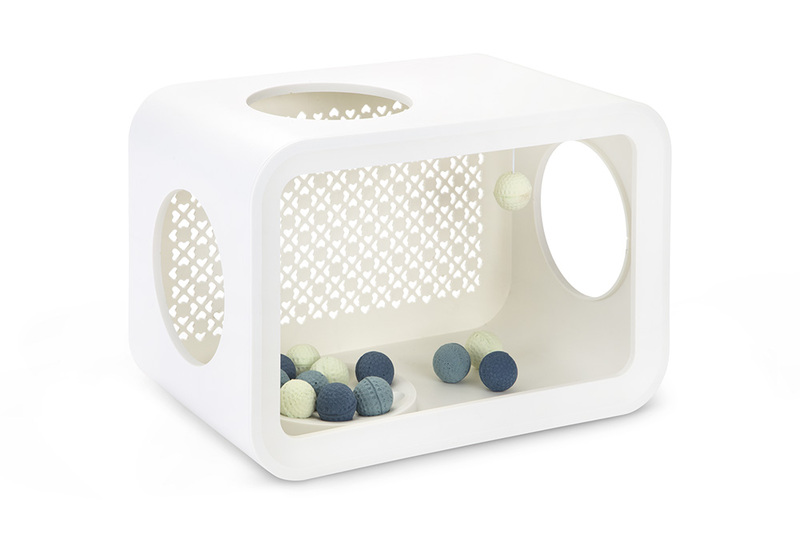 This Cat Cube has twelve cat toy balls and one ball on a string. 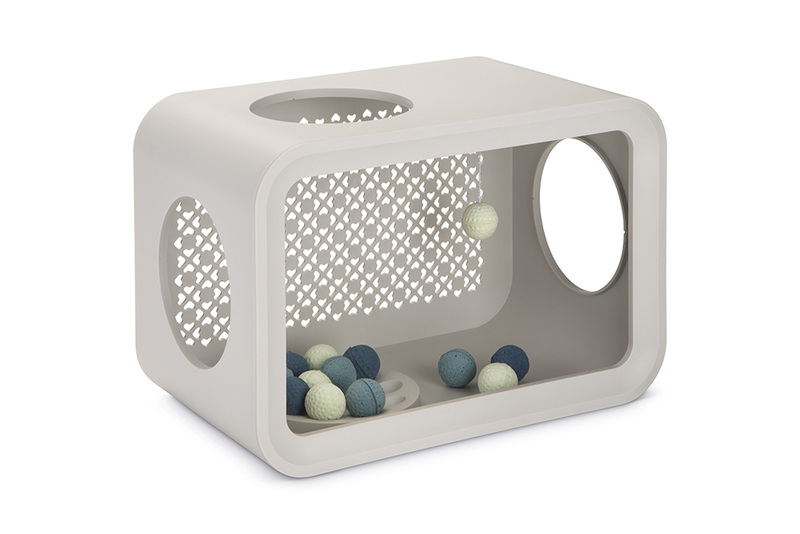 This Cat Cube is available in grey and angora white and can be placed horizontally and vertically. 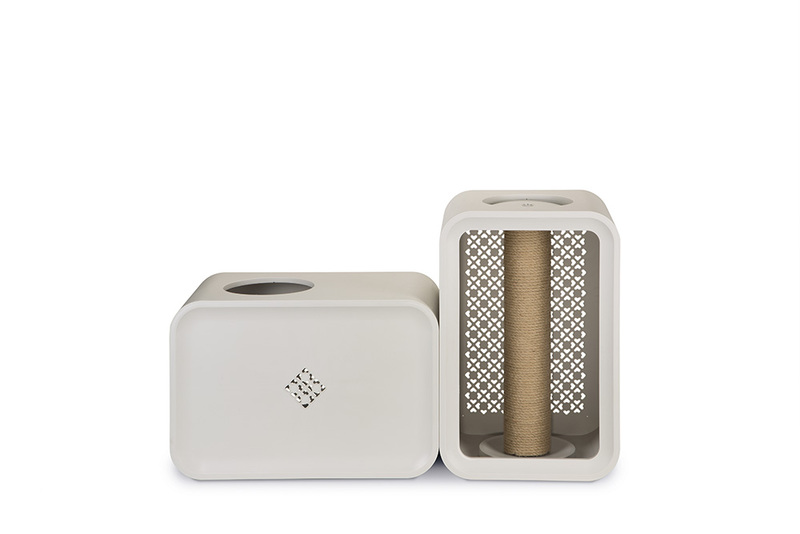 The Cat Cube Scratch is an open cabin for your cat to scratch. 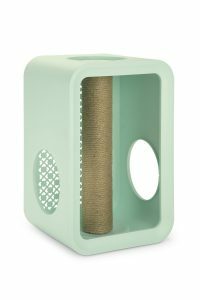 This Cat Cube is available in grey and mellow mint and can be placed horizontally and vertically. There are a few possibilities how to present Cat Cubes, because the Cat Cubes can be connected in different ways. You can choose how you’d like to place them. Because of the various colours, you can adjust it to your own preference and style. 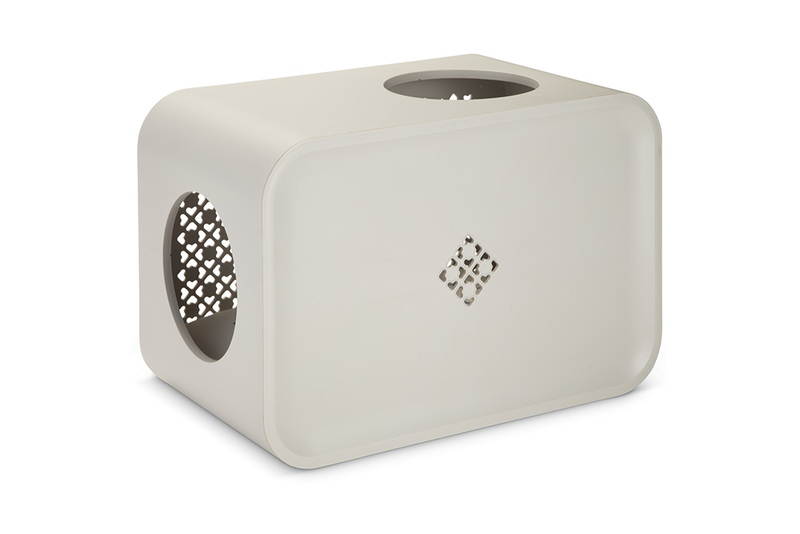 The Cat Cubes are also separately available. Tip: Change the modules after a while to keep it exciting for you and your cat!